Brentwood Elementary School offers a robust educational experience designed to strengthen the cognitive, physical, and social and emotional learning of all students. The school actively participates in the Creative Learning Initiative, and the Social and Emotional Learning Initiative in addition to all other core subject areas. Brentwood Elementary also offers Dual Language classrooms at all grade levels. Students at Brentwood attend Encore special area classes one time per day, and have access many opportunities to practice physical fitness and explore Fine Arts at school. All students participate in Marathon Kids at school and will run four complete marathons by the end of each academic school year. 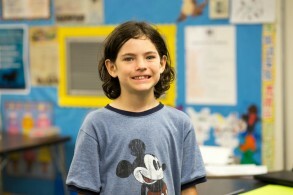 Brentwood Elementary also offers services for students qualifying for Gifted and Talented.